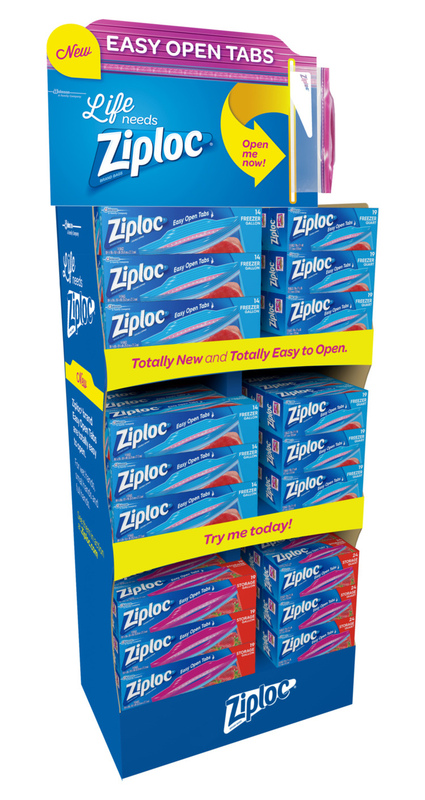 This is a series of POP displays and print advertisements created for Ziploc to introduce their new easy-open tabs. 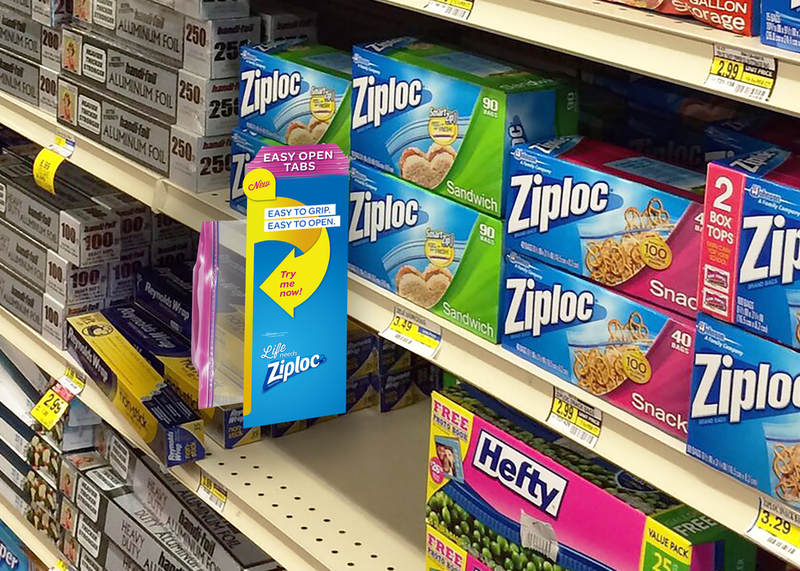 Its primary purpose is to stop shoppers in-aisle and allow them to feel and test the difference. To highlight the new improvements, we also featured ads in various publications that offered coupons to encourage sales and hands-on testing.